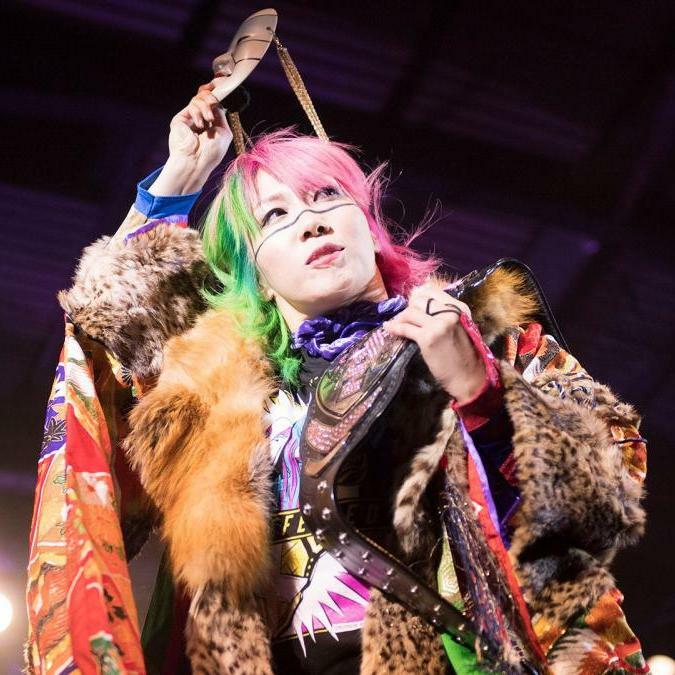 Former NXT Women's Champion Asuka remains undefeated after making her main roster debut at tonight's WWE TLC pay-per-view. She defeated Emma in the pay-per-view opener. The match started off with Emma avoiding several of Asuka’s submission holds. The Empress of Tomorrow would then begin to unleash some of her signature strikes that included a running knee strike, swift kicks to the back and missile dropkick from second rope of the turnbuckle. Emma toughened through Asuka’s arsenal of moves and managed to get in some offense by hanging off Asuka from the turnbuckle and landing kicks as well as sliding cross body. Emma earned a two count over Asuka following a running boot to face. Asuka managed to pick at Emma’s leg to lock in an Ankle Lock and into a quick suplex. Emma rolled to the outside, where she went on to grab Asuka by the hair and whip the Empress of Tomorrow off the apron to the outside floor. Towards the end of the match, Emma tossed Asuka back in the ring but upon re-entering was hit with a Spinning Kick from Asuka. Emma then found herself stumbled into the Asuka Lock and tapped out to the submission.